It is early December. I feel the usual currents of holiday urgency coursing through Northern Virginia. With Thanksgiving so late in November this year, everyone seems tense, not jolly, about the holidays. Whatever happened to “all is calm?” Surrounded by angry taillights and jammed parking lots, it feels more like all is crazy. Some of that crazy is shed at the Christmas season by families who visit Frying Pan Farm Park, a rural oasis to many locals. “It has become a second home to us,” says a Springfield resident and parent of three. “The kids love the animals, and you can’t go many places like that for free,” she says. “We are so blessed to have something like this so close.” She has been bringing her family to the park for years and is still discovering new things to do. After taking the kids for a wagon ride, she was surprised to find nature trails on the property as well. Frying Pan can be a reminder that Christmas is at least in large part about celebrating family. Kids love the independence and self-sufficiency of children’s holiday shopping because they can pick out family gifts by themselves. “It’s a great opportunity for kids to come visit an old-fashioned country store where they can buy knickknacks and trinkets for their friends and family,” says park staffer Joe Sawyer. Friendly staff and volunteers help wrap the presents so the kids can take them home and place them under the tree. It is a unique opportunity to get kids excited about giving and not just receiving in the midst of the holiday hustle and bustle. Flashy wrapping paper and elaborate toys aren’t necessary to celebrate family. The whole point is to be together. In Northern Virginia, Frying Pan Farm Park is a place for family to take a moment to enjoy being with each other, bundled up on that wagon ride, with hot cocoa, rosy cheeks, and red noses. It’s a place where they can feel calm and jolly while leaving the urgent holiday coursing to reindeer. 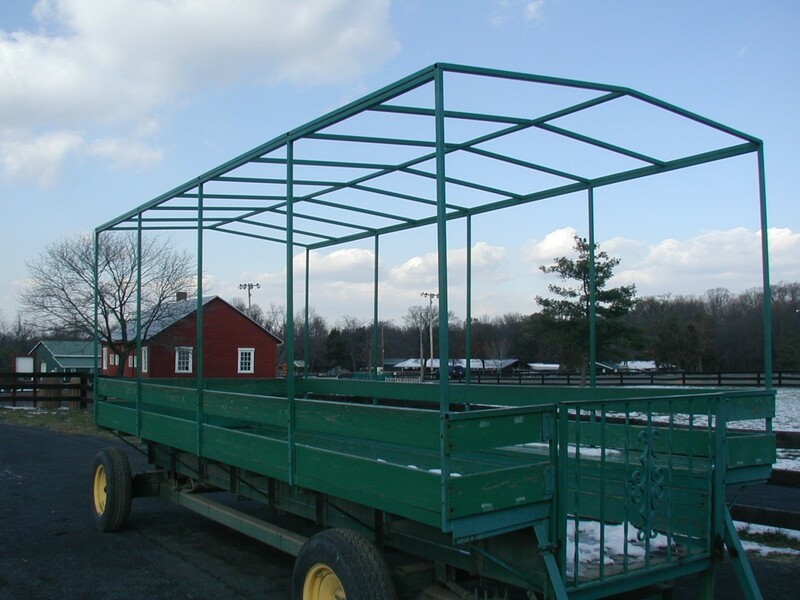 Take a family wagon ride at Frying Pan Farm Park this holiday season. It’s one of several parks with holiday activities to help you feel that all is calm, all is bright while you make family memories. Author Cate Henifin is the marketing and development assistant at Frying Pan Farm Park. 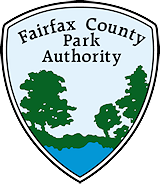 This entry was posted in Uncategorized on December 9, 2013 by Fairfax County Park Authority.